Home / News / Features / Discover T1X / Natasha Eden – Urban Real Estate Services Ltd.
Natasha Eden – Urban Real Estate Services Ltd.
Just as the slogan on her website says, Natasha Eden’s life has been nothing short of an adventure. Born and raised in communist Czechoslovakia, now known as the Czech Republic, Natasha and her then husband made the courageous decision to escape to Canada in hopes of a better life for themselves and their 8 month old son. They made their way through to the former Yugoslavia and lived in an old run down car for two weeks while making their way to the Austrian border. A day’s drive from the border, the car broke down, they were out of food, out of money, and out of options. A family, who they had never met before, was kind and charitable enough to pick them up from the roadside, feed them and house them and the next day drove them to the Austrian border. This humanitarian act by total strangers set a lasting memory for Natasha and has led her to always want to go above and beyond in both her personal and business life. With no proper documents they could not legally cross that border so they couple decided to split up and both try and get through at different spots at the border. With her young baby strapped to her back, her husband carrying all their belongings with him, they ran to freedom with the gunfire of border police all around them. Once in Austria, Natasha and her family lived in a refugee camp for 13 months. Eventually the family was approved for a VISA and moved to Canada, landing in Quebec where they lived for 14 months before moving to Calgary. While in Canada, Natasha became the mother of two beautiful daughters. All of this stress put a huge strain on the family, and Natasha found herself divorced and raising her three children on her own with very little support. Struggling to find support and employment, the first hurdle was teaching herself English, which she did by watching hours of the TV show, Jeopardy. In 1999 she made the decision to dive into the world of real estate, a new adventure all on its own. She desired a career that would allow her the freedom and time to be able to raise her children on her own while earning money to support them. Despite English being a challenge, she passed her real estate exams on the first attempt and became a licensed real estate agent. Natasha and her children have called Chestermere home since 2001 and says that she moved here for that small town feel, which she says despite Chestermeres growth, it retains its small town community feel. Natasha became friends with Bob Eden in 2008 and soon found they had common beliefs. Both were committed to the philosophy that “Kindness is a passport that opens doors and fashions friends. It softens hearts and molds relationships that can last lifetimes. ” In July 2009, Natasha married Bob, a retired 28 year veteran police officer who served the citizens of Delta, British Columbia until his retirement in 2008. They then teamed up together to create Natasha’s House Hunting Adventures. Bob does the marketing for House Hunting Adventures and while operating his own law enforcement training business, R. Eden Consulting Group, still makes time to support Natasha’s business and charitable dreams. 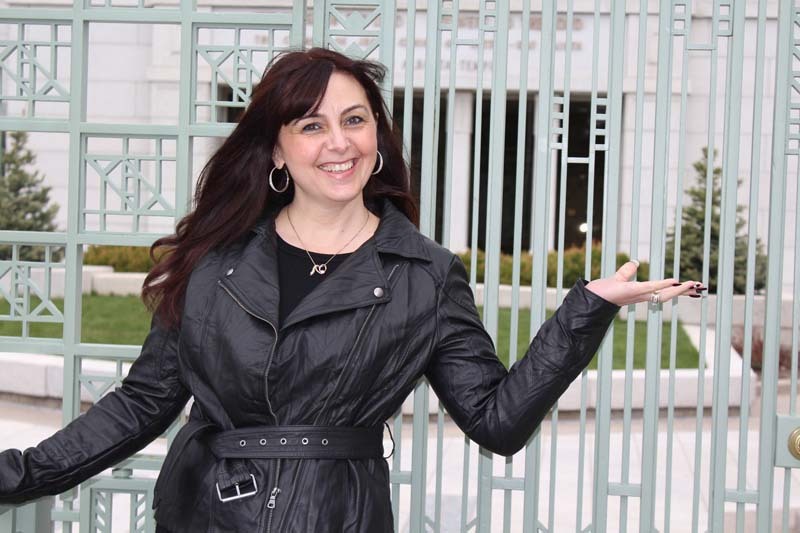 Natasha prides herself on building lasting relationships with her clients. “It’s not just about the sale. The money will always come. It’s about the relationships you build”, says Natasha. Dealing mostly with residential real estate, she covers Calgary and area but says that 80% of her listings are in Chestermere. “I tell people that if they want to live in a great community, where neighbours know each other and people are out walking in the community and talking with each other, you need to move to Chestermere”. Natasha says that one thing that makes her stand out from the crowd is her Home Warranty Program. “As a seller with me you get to add that perk to potential buyers that they will get to take advantage of this one year home warranty”. This one year warranty covers central heating system, duct work, well pumps, interior plumbing system, air conditioning systems, range & stove, water heaters, interior electrical systems, garage door openers, built in dishwashers, central vacuum and primary refrigerator. Natasha also likes to build relationships with other small businesses. As she relies heavily on referrals, she always pays that forward but referring her clients to other small businesses when the opportunity presents itself. Going through the adventures and trials of her life has made Natasha strive to live a life and run a business that is compassionate, honest and always helping those around her. To learn more about Natasha and her business, please visit www.househuntingadventures.com/ email her at Natasha@HouseHuntingAdventures.com or call her at 403-399-0809. 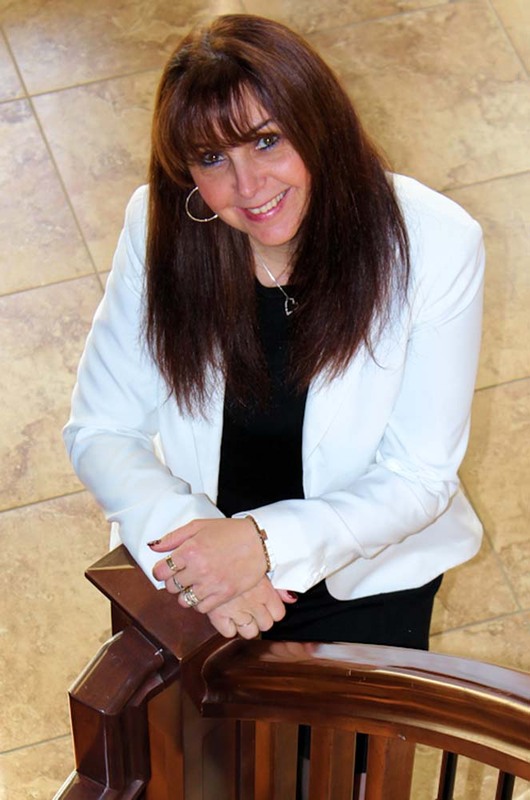 Natasha Eden prides herself on not just selling houses but building relationships.